The Crystal Cascade Table Lamp From Interiors 1900 Has Highly Polished Nickel Metal Work And Is Complete With A Rectangular Cream Shade. 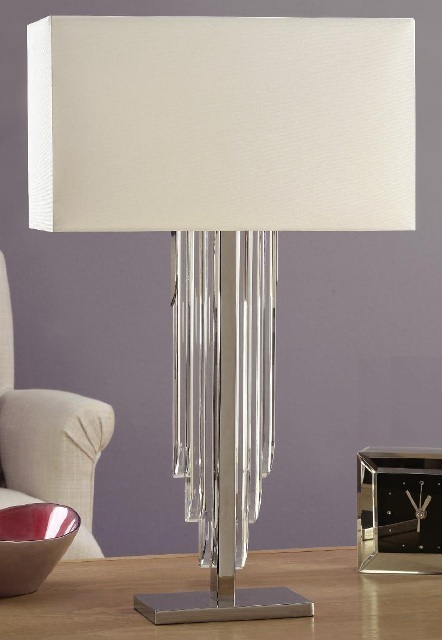 The Crystal Cascade Table Lamp Is Part Of The Interiors 1900 New York Crystal Collection. Inspired By The Age Of Glamour, These Crystal Table Lamps Are Grand And Bold, Made To Reflect The Imposing Art Deco Buildings Of New York.